Dynaudio produce some of the flattest response speakers in the world. Started in Skanderborg, Denmark over 3 decades ago by a group of like minded engineers, Dynaudio has one goal; to produce speakers for the professional and domestic markets that replicate sound with minimal coloration. What this means is to play music or other sound through the speaker without it imparting its own character so that the user hears what was original intended. Dynaudio has achieved exactly that with their BM, Air and M series monitors. 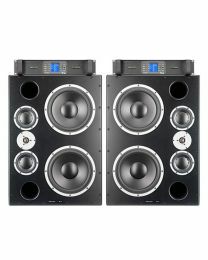 These professional studio monitors range in size from the Dynaudio BM Compact mkIII with its 5.7" woofer, surprisingly high 116dB max sound pressure level and dual 50W Class D amplifiers, all the way up to the Dynaudio M3XE with its dual 12" ESOTAR woofers, duel 6" midrange drivers, and stand alone 2350W duel amplifiers. 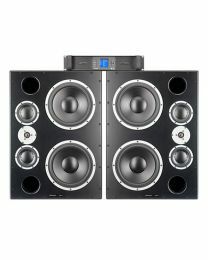 The Dynaudio ranges cover everything from detailed nearfield monitoring to farfield mastering and boast some innovative technologies, like the Dynaudio Air series with their digital LCD displays on the front of each monitor for fine tuning various parameters and allowing for easy setup of stereo or multi-channel configurations. Dynaudio monitors are built to last, packed full of innovative designs and most importantly of all sound incredible.